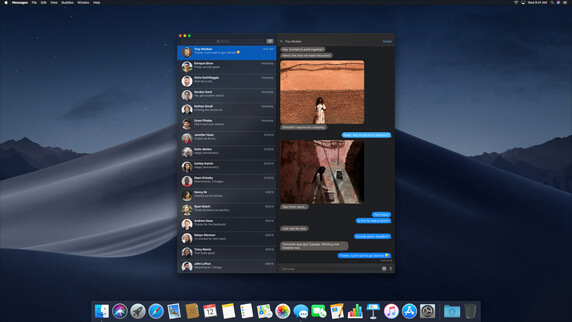 Home PC Mac macOS Mojave is now available to public : What’s New in Mojave? One of the things that Apple announced on Sep 24, 2018, is the availability of the new macOS Mojave( macOS Ver 10.14). 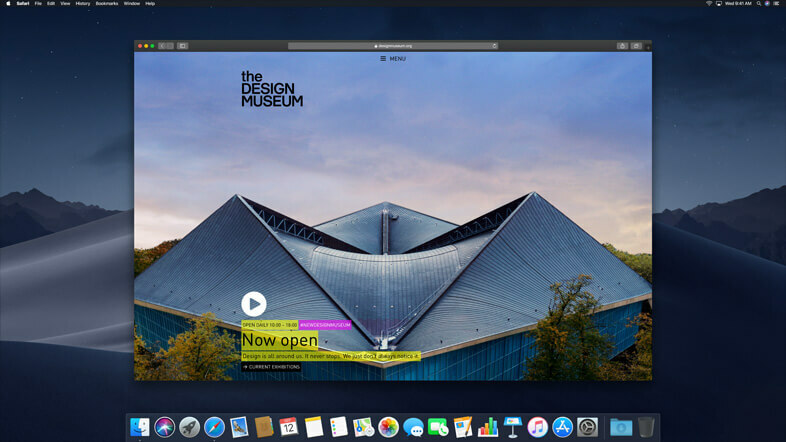 The current Mac Users will be able to install it for free, as an update to their current OS. macOS Mojave is now available to public for a free download from the Mac App store. 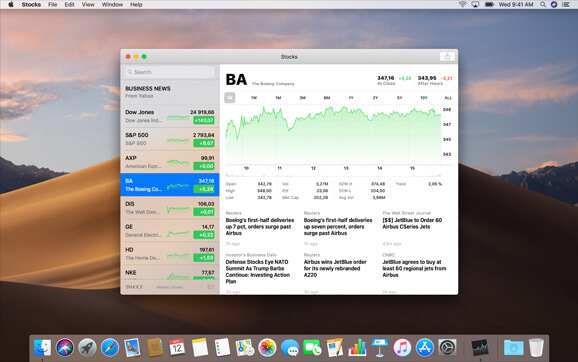 In the new OS update, Apple has introduced certain features allowing the users to customize the looks of their desktop, and to manage their files properly. Also, the App Store is updated with new features, and the availability of latest apps. The whole point of these updates is to enhance user experience. The following are the added attributes offered with the update. 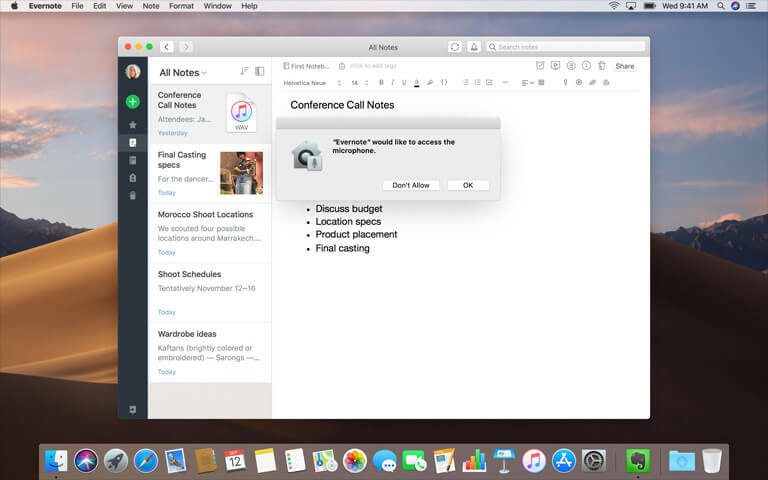 With Continuity Camera, users can scan a nearby document or shoot the picture using their iPhone, and import the image immediately to the Mac, by using the option ‘Import From’ under “File” menu. Pictures are Photos can be imported in apps like Pages, Keynote, Numbers, Notes, Mail and so on to do so. 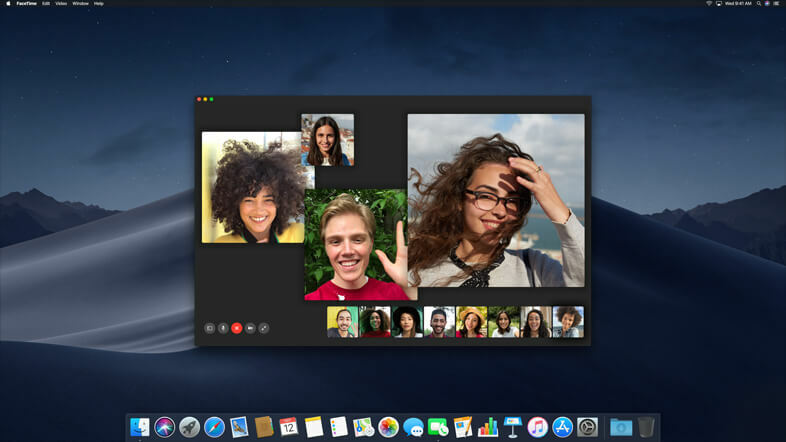 The new macOS Mojave will allow you to add up to 32 people in FaceTime call. However, this feature will be available later this year. It doesn’t matter which device the other person is using. Your relatives or friends can be on iPhone, iPad, Mac or even on Apple Watch and you can add or invite them to your call anytime during the conversation. It works with both Audio and video call and one of the user can be on Audio call while the other can be on Video call at the same time. 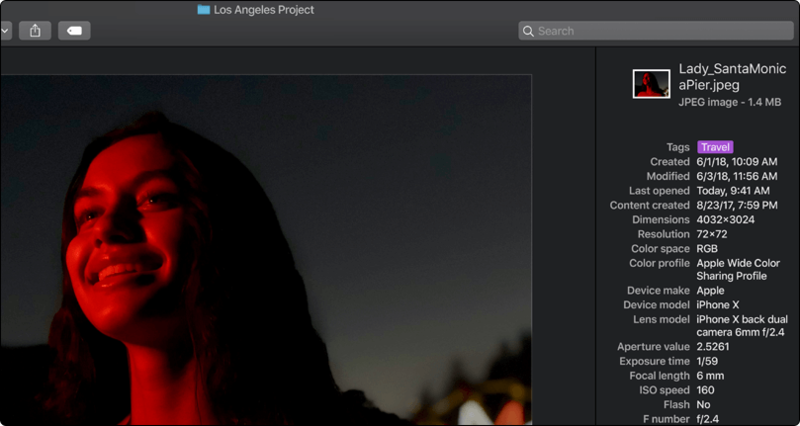 Dark Mode is a new color theme for various macOS’s inbuilt app and the desktop. It makes the App screen’s background appear dark, and highlights the different elements on it. It is usually beneficial while working in the dark or low light, as it causes less strain to the eyes. And without the doubt, the theme also makes your desktop look amazing and help you focus more on your work. 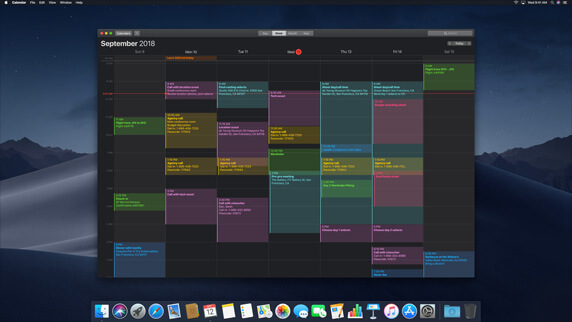 It is seamlessly integrated with most of the in-built apps such as Finder, Keynote, Photos, Calendar, Maps, Mail, Messages and third party developer can also design their app to include dark mode. You can turn the dark mode on from “General” Pane in “System Preferences“. Dynamic Desktop is a wallpaper based feature it actually sets a series of pictures as a wallpaper and automatically changes the wallpaper, to suit the time, and the part of the day. One of the most extraordinary images that it features is that of Mojave Desert in Africa. Whatever the desert looks like during different times of the day, like dawn, dusk and afternoon, the same effects would be displayed on the wallpaper at those very moments. Quite fascinating it is! Note:- As of writing Apple has included only two Dynamic Desktop theme which are 1). Mojave and 2). Solar Gradients . You can switch through them in “Desktop and Screen Saver” under System Preferences. You may get to download more Dynamic desktop theme from Apple and third party provider soon. 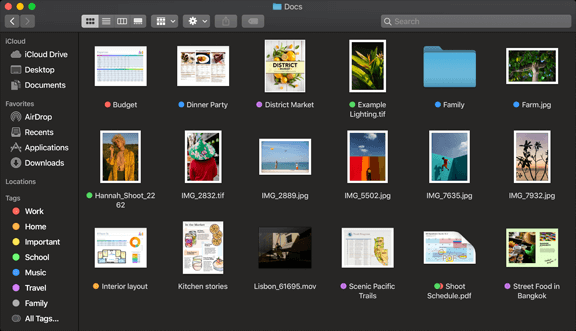 Finder in Mojave has become more powerful and helps in finding and managing files easily and quickly. With its visual preview panel showing the content of the files, the task gets much easier. It’s all-new Gallery view lets you switch through files visually, and on the right pane, you see all the quick actions applicable to the file. It shows all the meta data of the file and allows you to do a number of task without opening the file such as rotate or crop images, rename or tag a file, Markup, Create or password protect a PDF file, trim audio or video clips and much more. Quick look allows you to view the content of a file without opening it. Quick look is more enhanced and now allows you to do a number of task such as trim audio and video clips, rotate and crop images, mark up PDFs, Share via mail, airdrop or messages and much more without opening the file but just by pressing the space bar while the file is selected. The new Mac App Store includes features to help you find your favorite apps more promptly and with further ease. The App has introduced tabs such as, Discover, Create, Develop, Work and Play that helps you find the app specific to a purpose. Similarly, Stories, Videos and Collection options give you detailed insight about the apps, their creators and their prospective users. The store also features new apps like Omni Focus 3, and games like Alto’s Adventure and The Gardens Between. 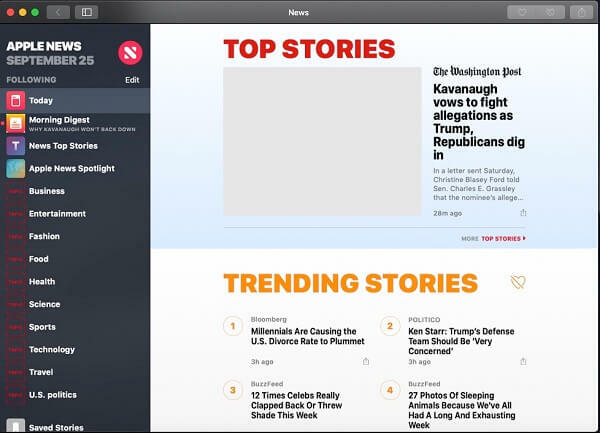 Users who have been using apps such as News, Stocks, Voice Memos and Home on their iPhones can now do it on Mac as well. News app helps you stay informed about current happenings, in all the sectors, from all around the world. Stocks, on the other hand, keeps you updated about the stock market news, quotes and interactive charts . Likewise, Home allows you to control HomeKit enabled accessories, and Voice Memos offers you easy options to record voices and sounds around you. Safari now shows small website icons in opened tabs, which helps you easily identify the website that you have opened. Website icons can be enabled from “Safari Preferences” menu. It makes browsing experience not just easy for the users but secure as well. Its Intelligent Tracking Prevention feature, prevent the users from being tracked by Social Media and Widgets without permission. The browser also prevents data companies from tracking the users, while they’re browsing the internet. 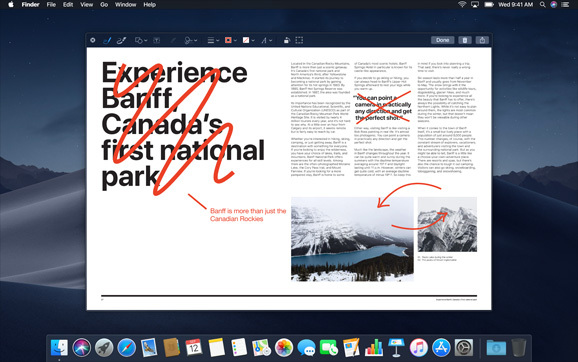 Screenshots on Mac is now available with easy to use controls, displayed on the screen, making it further simple to take screenshots. You can find the new screenshot utility under /Applications/Utilities. Simply open it or press Shift+Command+5 and use the menu to take screenshot or record the screen. As soon as you take the screenshot the thumbnail of snap moves automatically to the bottom right hand corner of the screen and stays there just like in iPhone. You can simply drag and drop the thumbnail anywhere in a document without even saving it or edit it, mark it. Stacks helps the users by taking care of the cluttered files on the desktop. It arranges them into different stacks on the basis of the file type, date of creation, and tags. The files can be accessed later by simply clicking on the particular stack and choosing the ‘Expand’ option. Apart from the major interesting features mentioned above, there are certain other minor updates as well. For instance, in the Mail composition window, the users will now find an Emoji menu, which will enable them to insert emoji easily in their emails. Mojave gives you full control over your personal data and privacy. It now requires every app to get your approval before accessing any sensitive data such as mail database, Camera, Microphone, Messages history, location and much more. 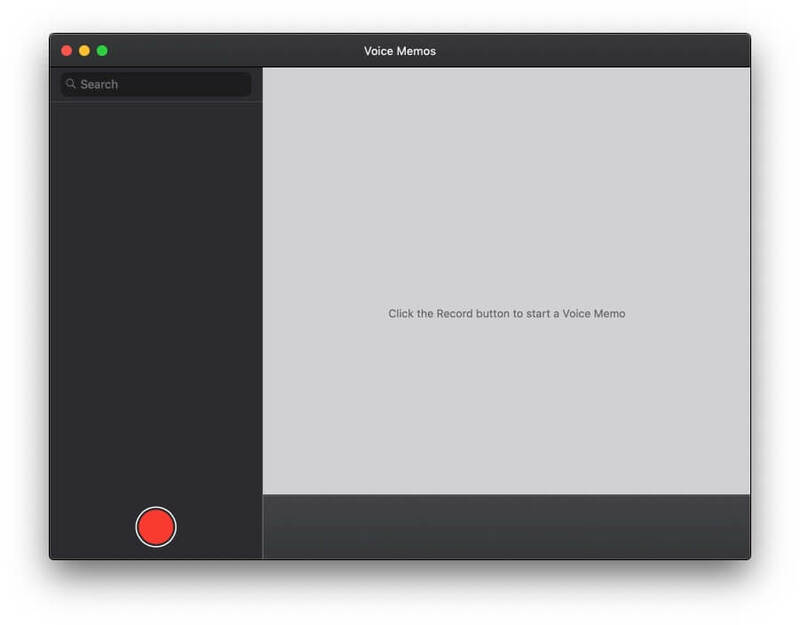 macOS Mojave requires apps to get your approval before accessing the camera or microphone on your Mac. The same goes for data like your Messages history and Mail database. Likewise, Siri has gotten more intelligent with enhanced knowledge about celebrities, food and Motorsport. 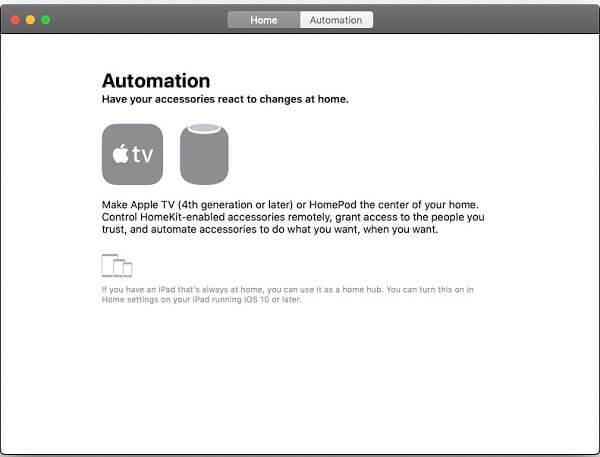 Now, it will also help you control Home-Kit enabled devices. Languages like UK English, Australian English, Canadian French and Traditional Chinese are added in the system. The Japanese keyboard will now feature English alphabet input option. And last but not the least, especially for the travel enthusiasts, the map of China has also been updated, featuring new locations, and access options. I hope you liked this post on macOS Mojave and its new features. Please do not hesitate to share this post across your social media accounts. Next articleHow to Enable Favicons or Website icons in Tab of Safari in macOS Mojave?